Welcome to Parkview and Greenside East. We believe you have made a wonderful decision to live in Parkview, as this is a suburb of which we are extremely proud. 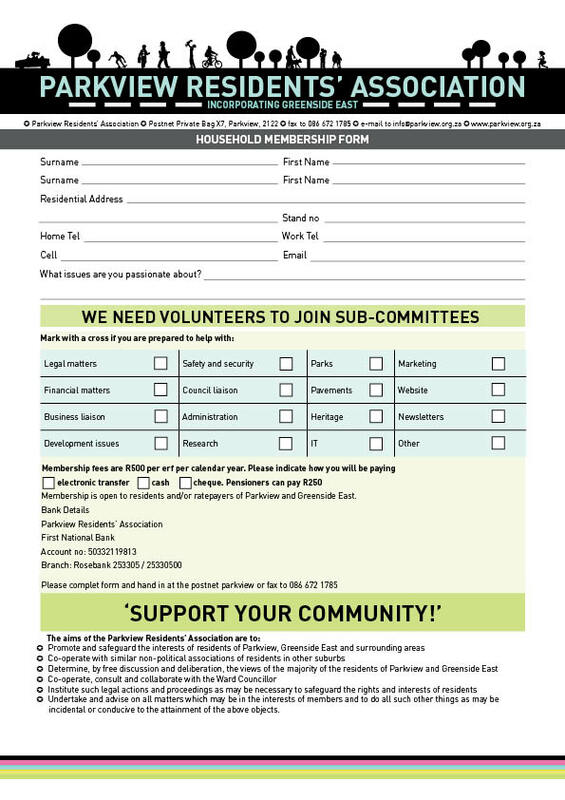 We invite you to JOIN the Parkview Resident's Association.